A natural gas-fired combined cycle power generation facility located in Idaho contacted QUA to find a solution to improve the performance of a water treatment system used to recycle the plant’s cooling tower blow down water. 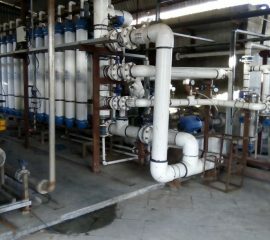 This water treatment system is an essential aspect of the facility’s 270 MW power generation process. 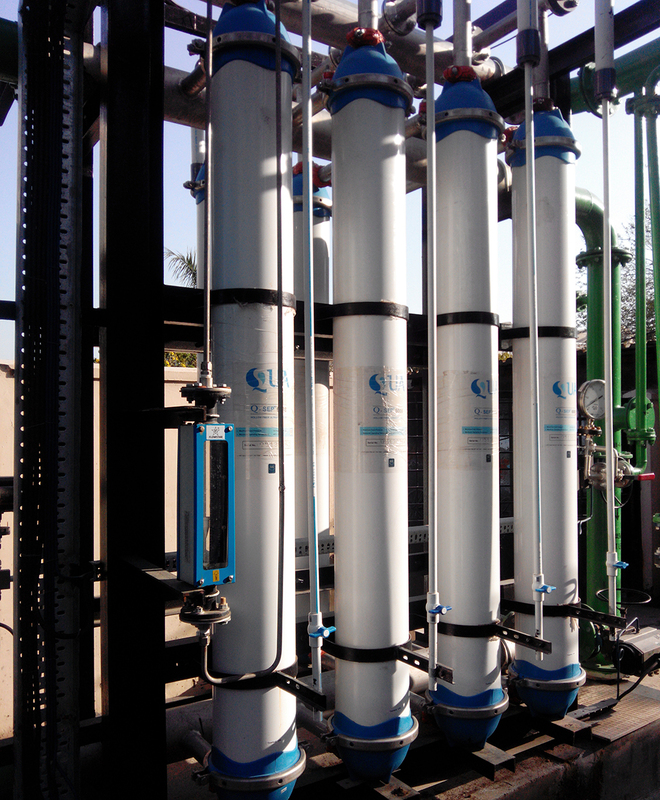 During construction, the plant installed a fully-operating water treatment system consisting of raw water treatment, demineralized water treatment, and wastewater treatment components. 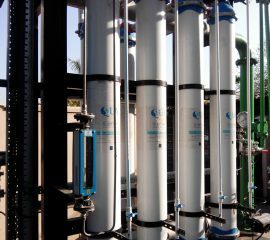 Shortly after commissioning the facility, however, the client encountered issues with the ultrafiltration (UF) membranes. 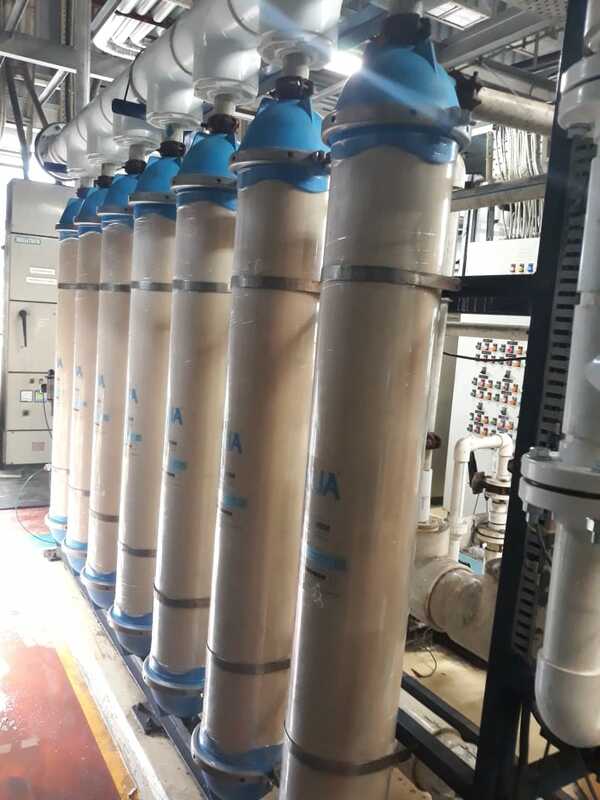 The membranes were fouling quickly and were not able to adequately pretreat the water before the next steps in the process to meet the expected performance. 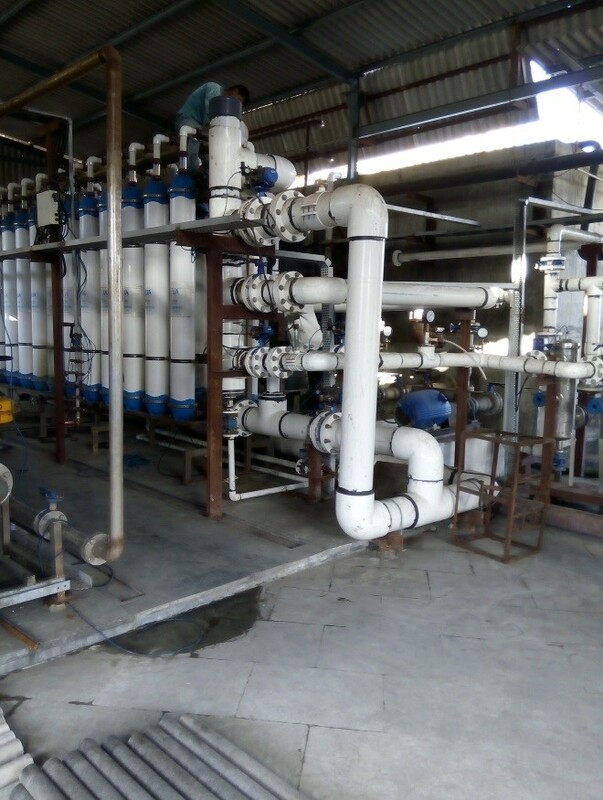 The client was unhappy with the performance of the membranes and the support they were getting from the original supplier, so they decided to explore other options to solve the problem. 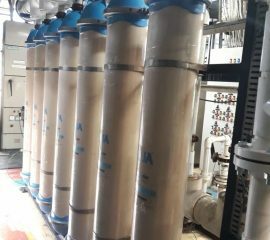 Due to the issues encountered, the client decided to retrofit their existing UF system and chose QUA to install Q-SEP® hollow fiber UF membranes for the wastewater treatment system. 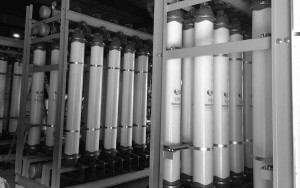 The Q-SEP system was designed to treat a total of 360 gpm (82 m3/hr) through the installation of six trains of six modules each. QUA was actively involved in the retrofitting process and provided the client with the strong support needed to ensure that their problem was properly solved. The system has been running well for more than five years without concerns. QUA’s Q-SEP has proven to be a successful long-term solution that plays an important role in ensuring that the plant performs reliably and without disruptions in service.